Special Offers from Discount School Supply®! : Good Things Come to Those Who DON'T Wait! Patience may be a virtue, but don't get caught waiting around while Discount School Supply is offering an additional 20% OFF select Angeles® products. Angeles® BaseLine® Chair 5" for only $19.16! BaseLine® Chairs are so lightweight that even young kids can handle them with ease! 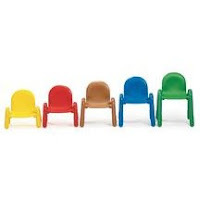 These stackable, easy-to-clean chairs have a molded plastic shell and PVC legs. Leg boots on these chairs reduce noise and prevent rust. 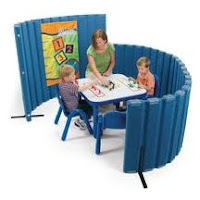 30"H x 6'L Angeles® BaseLine® Sound Sponge™ Quiet Dividers® for only $159.96! These flexible room dividers are amazingly sound absorbent, light weight and easy to move, making them perfect for early childhood classrooms. Each divider has magnetic connectors on each end for attaching additional dividers. They roll up easily for easy storage. 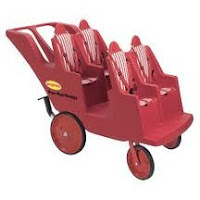 4-Seat Original Bye-Bye Buggy® for only $559.96! This 4-seat stroller is designed with terraced seats so your preschool riders can see. It features high-backed seats for good body support, it's easy to load and go as it will fit through standard doorways and it has wheels that pivot 360 degrees. Plus, this Angeles® buggy comes fully assembled! Find more deals like these right now at Discount School Supply. But don't wait around! These great prices on top quality Angeles® products will end 2/26! Remember, Discount School Supply offers top quality early educational supplies at the lowest prices guaranteed. Arts and Crafts. Dramatic Play. Infant and Toddler. Furniture. Active Play. Manipulatives. Curriculum Resources. And more. If you are a parent, teacher or caregiver of an early learner, shop Discount School Supply for great products and great deals.